We recently expanded our 3D design capabilities by adding Dan Ryba, a multimedia artist specializing in 3D illustrations, to our in-house aircraft interior and paint design team. Ryba joins Ken Reita and the design team, who have been creating innovative designs for clients on all makes of aircraft. Both Reita and Ryba are focused on creating 3D conceptual illustrations for clients who are looking to make interior and exterior modifications to their aircraft. There have been times when a client is torn between two materials. One may be darker than the other, and explaining that the darker material will give the space a dark, closed-in feel isn’t nearly as effective as a 3D image that shows exactly how the space will be perceived. The 3D models are beneficial to our production teams, too. Seeing the model helps everyone with project planning, long before any work begins. There are other times when it’s not convenient for the client to meet face-to-face, so the Duncan Aviation sales team can request a 3D image of the design for the client and include it in the sales package, saving everyone involved time and money. Seeing is believing, so giving clients and production teams a visual representation of the finished aircraft, inside and out, helps prevent surprises along the way. For more information about Duncan Aviation’s modifications services, visit Duncan Aviation at booth #C9125 during this year’s NBAA convention from October 10-12, in Las Vegas, Nevada, or watch for announcements at www.DuncanAviation.aero/nbaa. Would You Trade Places With Customers To Receive Your Customer Service? Be Kind. The person you help today may turn out to be the person you need tomorrow. In 1997, Susan Masek was calling on aircraft parts brokers to locate parts in support of Duncan Aviation’s in-house aircraft maintenance customers. Every day she picked up her phone and attempted to locate the units on her list. While searching, Susan often called the same brokers again and again. Over time, she learned who she could rely on to find what she needed. Susan’s first phone call was always to Meredith Daoud, who, at the time, worked for an aircraft parts broker in California. "I knew Meredith had hundreds of customers, OEMs, FBOs, other MROs, and aircraft management companies. But when I called her, I always felt like I was the only one she was helping that day," says Susan. "She was the best at customer service and nearly always delivered what I needed." In 2005, Meredith and her husband Jerry stepped out on faith, moving to McKinney, Texas, and starting their own parts brokerage business—Trinity Aviation. And because Susan wasn’t the only customer who thought Meredith was exceptional at her job, when Trinity opened for business, many of Meredith’s former customers became Trinity customers. "I work hard to build relationships," says Meredith. "I want to get to know clients beyond the transaction. People appreciate that and respond." At about the same time, Susan was in the middle of her own transition at Duncan Aviation, leaving the maintenance side and joining Duncan Aviation’s Parts & Rotables Sales team. Instead of purchasing parts, it was now her responsibility to locate and sell aircraft parts, instruments, and components. Guess who called? Meredith knew from the beginning that she would be relying heavily on Duncan Aviation to help her fulfill the needs of Trinity Aviation’s customers. On one of her first calls to Duncan Aviation, by chance, she was connected to a new Parts Sales Rep, and an old friend. Thirteen years later, the relationship between Trinity Aviation and Duncan Aviation is a strong one, connected by a professional friendship between Meredith and Susan. "When we think of Duncan Aviation, we think of Susan. For us, she is Duncan Aviation." 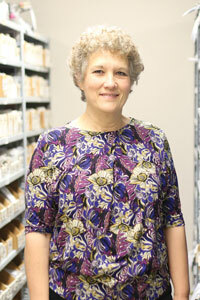 When Meredith Daoud has a customer in search of aircraft parts, her first phone call is to Susan Masek. "She is extremely knowledgeable," Meredith says. "I trust all the information she provides and if she doesn’t have the answers right away, she’ll research it and call us back. Her customer service is first-rate." This story was recently published in the Spring 2017 Duncan Debrief magazine. Follow the link below to find more stories like this or subscribe to receive your own copy. As the only family owned MRO with thousands of team members and a presence that spans the globe, what helps us stand out, what makes us different, what allows us to rise above the rest, is our people and the relationships they develop and maintain year after year. That focus will be very apparent in booth #208 at the 2014 National Business Aviation Association (NBAA) Meeting and Convention in Orlando, Florida. From left to right: Project Manager Gary Dunn stands with Chief of Maintenance Greg Hamelink and Avionics Team Lead Matt Collins in front of three aircraft they've worked on together at Duncan Aviation's BTL location. Why do relationships matter? Don’t all customers want the cheapest price and the fastest turntimes? Sometimes, yes. But when it comes to the jet your family, friends and co-workers fly on, you want a trustworthy individual you can call anytime about anything. You want to work with a place that values their team members, creates a sense of community and leaves a lasting impression. Our customers demand a company that lends a hand to others instead of looking only at the bottom line. We want to convey that we value your needs as if they were our own. Customers aren’t just a number. They become part of our family. Those relationships are the reason why our tech reps spend a holiday with their customers after helping them out of an AOG situation. They’re also why our project managers plan family vacations with customer reps and road bike together on the weekend when their jet is in one of our many hangars. Those relationships extend beyond the one-on-one interaction. Teams who work with OEMs and others in the industry develop new products and improve existing ones because that collaboration and trust was built alongside a friendship. So, this year at NBAA, we’ve opted not to build a brand new booth. Instead, we offer a comfortable place to sit and the opportunity to talk to our most valuable assets: our people. 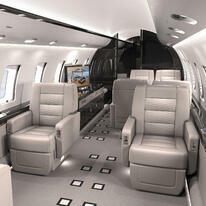 Come, cultivate a new relationship and see why Duncan Aviation is an experience, unlike any other. For more information, visit Duncan Aviation at booth #208 at NBAA 2014 held Oct. 21-23 in Orlando, or watch for announcements at www.DuncanAviation.aero/nbaa. How does Duncan Aviation meet the needs of its South American customers, from the northernmost Punta Gallinas, Colombia to the southernmost Cape Horn and everywhere in between? 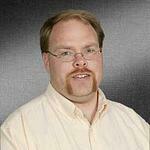 Recruited in 2008 by a family friend, Allan worked as an agent for Duncan Aviation throughout South America. After four years of hard work and a whole lot of travel, Allan became a Regional Manager in August 2012.
y day, I get to do what I enjoy; I work with customers, and do my best to keep the business going. Working for a company located in North America and living in Brazil with the entire South American continent as his territory requires quite a bit of travel. In addition to calling on customers, Allan visits the Duncan Aviation facilities in the United States roughly eight times each year. One way from Sao Paulo to Lincoln takes 13 hours, unless the United States is off daylight saving time—then it takes 15 hours. From early March until November, Campinas and Lincoln, Nebraska, have a two-hour time difference; from November to March, it’s four hours, and the time difference complicates travel and phone meetings and requires careful planning. our customers. Download the Duncan Aviation Regional Manager map and contact the one in your area. Duncan Aviation has team members from India to Michigan and our backgrounds are even more diverse. A common thread that ties us all together is an inherent sense of doing the right thing and a positive attitude that allows us to be a step ahead of the rest. It’s the people within a company who create such a strong brand. Duncan Aviation is an experience, unlike any other. We share stories like these within the company daily as a reminder to all team members just how much our customers mean to us and what it takes to create that exceptional experience time and time again. When you need a creative and detailed paint scheme applied on your aircraft, where can you find a team with the skill and drive to complete it beautifully? Paint master specialists Troy Reinke and Stacy Finch were excited to take on this large aircraft paint project. The custom paint scheme commissioned by artist Wilfrid Buch with countless lines swirling around the fuselage to create a psychedelic 3D image required talent, patience and detail few paint technicians possess. For the rest of the story visit: www.DuncanAviation.aero/experience/paint.php. 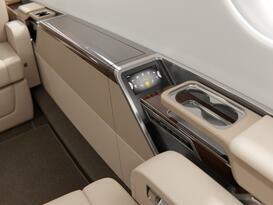 Your autopilot malfunctions mid-flight. Who can help you troubleshoot and express deliver a loaner to meet you upon arrival? Duncan Aviation’s components tech reps.
Curt Campbell has been a components tech rep for Duncan Aviation for 28 years, and he has nearly 40 years in the industry. So when he gets a phone call from someone in-flight with an issue, he walks them through the troubleshooting process as if he were in the copilot seat himself. For the rest of the story visit:www.DuncanAviation.aero/experience/curt.php. 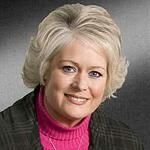 Shirley Crouch, Duncan Aviation Parts and Rotables Sales Rep. When it’s late in the evening on a Saturday and you need a part, who can you call? When a customer in Spain had to be up and running in less than 24 hours, her experience led her to believe customs might cause a delay. So she opted to have a courier hand-carry the part to ensure all customs requirements were addressed along the way, reducing the AOG time from days to just hours. 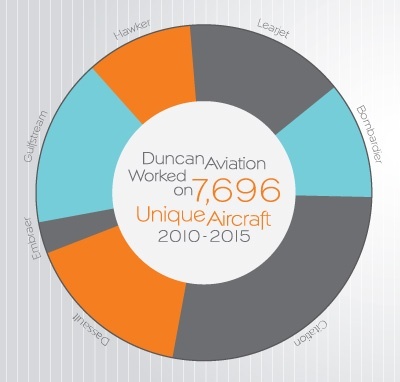 Because Duncan Aviation team members work in a culture where honesty, integrity and doing the right thing is the norm, many think their extraordinary efforts were just part of the job—a testament to how incredible the teams are. View Duncan Aviation's Core Value video and watch as team members express why the company's Core Values resonate so much with their teams and how they can be seen in every aspect of their workday. 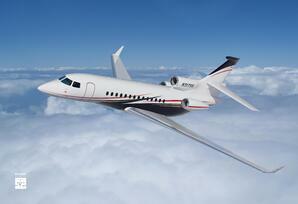 Join Duncan Aviation in the Big Easy on January 14-17 at the 2014 NBAA Schedulers and Dispatchers Conference (SDC2014)! Right in the middle of the Ernest N. Morial Convention Center along the main aisle, drop by booth #834 and visit to Duncan Aviation attendees representing the many aspects of Duncan Aviation’s FBO and maintenance services. Here are the Duncan Aviation SDC2014 representatives and the messages they will be bringing to the show. 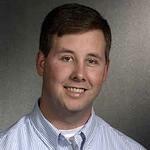 Travis Grimsley is the supervisor of FBO services at Duncan Aviation’s Battle Creek and Kalamazoo, Michigan, locations. During SDC2014, Travis will be showing off pictures of the newly remodeled Duncan Aviation FBO lobby in Kalamazoo (KZO), Michigan, including added amenities, benefits and office space for lease. Stop by booth #834 to talk to Travis. Increasing the awareness of the available maintenance services is a priority of Troy Hyberger while at SDC2014. As the supervisor of FBO services at Duncan Aviation’s Lincoln, Nebraska, location, Troy understands the value of prompt, attentive and friendly courtesies and free amenities for all pilots, passengers and customers, as well as being able to provide the option of full-service maintenance capabilities. 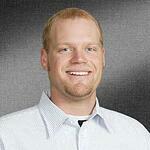 Luke Swager is the assistant manager of customer service in Battle Creek, Michigan. 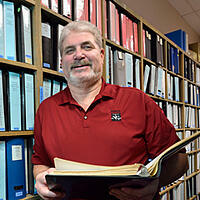 He works directly with customers when they are at Duncan Aviation for maintenance events. While at SDC2014, Luke will be available to assist and answer any questions about the maintenance services and capabilities available at all of Duncan Aviation’s full-service MRO facilities. As the flight deck team leader, Rhonda Hawkins is well aware of what a customer expects when they arrive at the Duncan Aviation lobby at Battle Creek, Michigan. That is why she has a team of professionals that are already making things happen before they arrive. While at SDC2014, she wants to talk with attendees about the added amenities and concierge services at all of Duncan Aviation's FBO locations. Drop by booth #834 and talk with Travis, Troy, Rhonda and Luke. 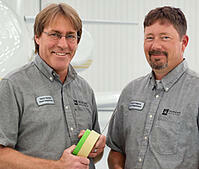 Get to know them and what Duncan Aviation has to offer. You’ll be glad you did. While you're there, download the Duncan Aviation AOG app and drop a business card on the box. 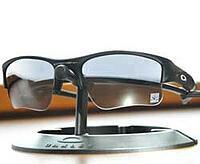 In addition to the Oakley Giveaway, there will be hourly drawings for some Duncan Aviation swag. Make stopping by booth #834 a priority during SDC2014. Discover how Duncan Aviation is able to support you with all of your business aviation needs.